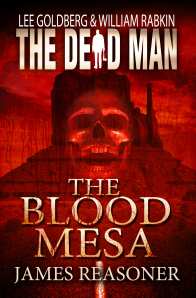 James Reasoner takes a swing with the holy ax to create the 6th Dead Man book: The Blood Mesa. Another good choice for the series, Reasoner is one the hardest working men in fiction: he’s contributed to over 30 different book series. He averages over 1 million words written each year. I can only speculate how many keyboards he’s worn-out. 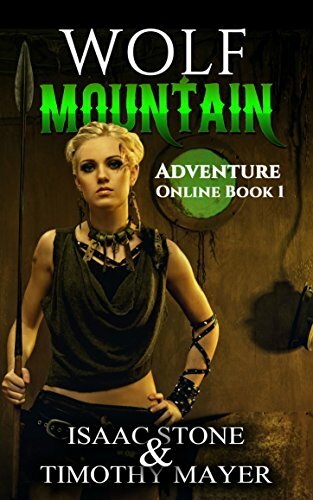 Reasoner is known for his western novels, so of course he sends the reborn avenger Matt Cahill to the American Southwest where he will, once again, do battle with the sinister Mr. Dark. Walking down a lonesome highway, Matt finds a broken down truck with a woman, Dr. Veronica Dupre, trying to start it.. He offers to help and meets the other auto-challenged rider, Dr. Andrew Hammond. Both are archeologists supervising the excavation of an Anasazi site. It’s known as the “Blood Mesa” for its sandstone composition. Their driver had refused to return to the location, citing local legends about the horrors which lurk there. Matt fixes the truck and is immediately offered the job for the expedition. Needing the money, he takes it. And he notices Dr. Hammond’s face is starting to decay, something only he can see. Cursed with the ability to see the evil in the hearts of men, Matt knows a horrible event is about to occur. Something which will involve his nemesis, Mr. Dark. The spectral being sows evil where ever he walks and leaves lollipops as a calling card. Most of the excavation team are college kids working on their summer dig. Right away, Matt notices tensions in the camp as one of the college girls is being fought over by two of the college boys. He’s able to help end the tension non-violently with the older academics help, but Matt knows a firestorm is on the way. The expedition soon discovers the dig site has human bones which were gnawed on for food, the signs of cannibalism. And when the violence begins in earnest, it is extreme. Matt uses his ax to dispatch wave after wave of psycho killers who have been possessed by Mr. Black. Matt must keep the blade on his grandfather’s ax mighty sharp as he’s used it in each book. I’ve never thought about the logistics of taking down a crazed mob with an ax. Reasoner has it all figured out. The only negative about the episode is back story. You never really do get to find out what is the connection between Mr. Dark and the vanished Anasazi settlement. Which is the problem with these novelettes: there just isn’t enough space to develop the backgrounds. I’m hoping future episodes will fill in the missing information. No mention of the Men In Black from end of the last book. We last saw them showing up right at the conclusion of The Dead Woman (#4). I’m hoping they’ll be included in the story arc.